The OTTER SKIN has been revamped for 2007. 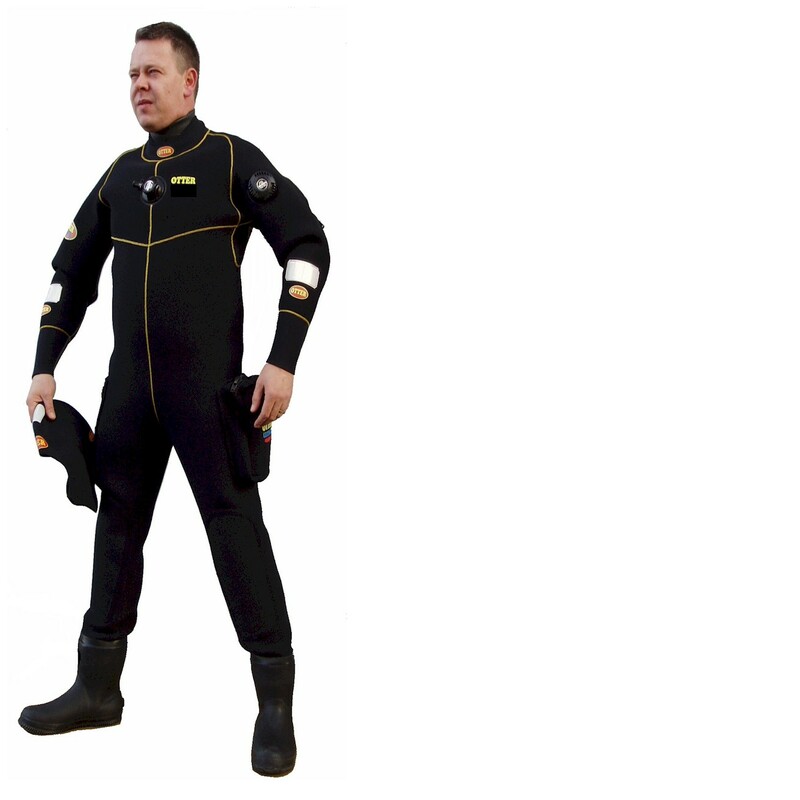 It now comes as standard with Double back zip-Heavy duty latex seals-Double knees pads-Reflective patches-Elasticated back-Braces-Cargo Pocket-Warm neck collar and Otter neoprene lined boots. This material makes hard wearing easy to dive in suits, perfect for the discerning lady who needs comfort and style. The Mako has a front-entry zip combined with an over-long torso with crotch-strap and long conical wrist seals. It uses 2mm neoprene covered in heavy-duty nylon and is supplied either with fixed boots or sock-ends and boots. It's new but already proving popular. is made from 4/5mm neoprene. The neoprene provides comfort & warmth. A brilliant hardwearing budget suit.